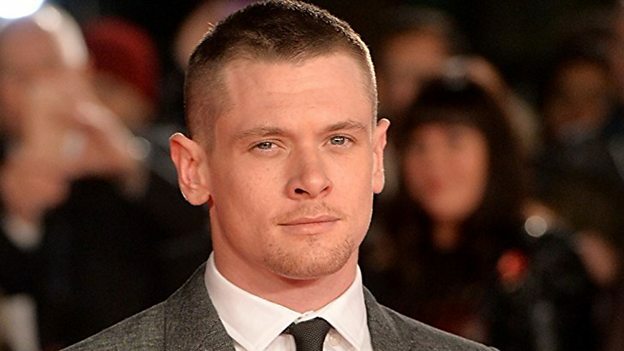 Jack O’Connell signs as lead in Andrew Haigh’s BBC Two series The North Water. Based on the critically acclaimed novel from Ian McGuire, the series also starring Colin Farrell is produced by See-Saw Films for BBC Two and has been commissioned by Piers Wenger, Controller of BBC Drama, and Patrick Holland, Controller of BBC Two. Set in the UK and the ice floes of the Arctic in the late 1850s, The North Water tells the story of Patrick Sumner (O’Connell), a disgraced ex-army surgeon who signs up as ship’s doctor on a whaling expedition to the Arctic. On board he meets Henry Drax (Farrell), the harpooner, a brutish killer whose amorality has been shaped to fit the harshness of his world. Hoping to escape the horrors of his past, Sumner finds himself on an ill-fated journey with a murderous psychopath. In search of redemption, his story becomes a harsh struggle for survival in the Arctic wasteland. “Jack is one of the most exciting young actors working today,” adds See-Saw Films’ COO Hakan Kousetta and Head of Television Jamie Laurenson. Bafta award-winning British actor Jack O’Connell next stars opposite Laura Dern in Roadside Attraction’s Trial By Fire. Later this year he stars opposite Kristen Stewart in Against All Enemies and opposite Charlie Hunnam in Jungleland. O’Connell first found fame as the hard-living James Cook on the E4 teen series Skins which was followed by other lead roles in the television dramas Dive and United. He then acted in a myriad of films including co-starring in Eden Lake, Harry Brown, and Private Peaceful leading up to his critically acclaimed performances in the independent films Starred Up and '71. Later, O’Connell made his Hollywood debut as Greek soldier, Calisto, in the action-war film, 300: Rise of An Empire before his multi award-winning performance as World War II POW, Louis Zamperini, in the Angelina Jolie directed drama, Unbroken. Since then he has starred in multiple projects including Jodie Fosters’ Money Monster alongside George Clooney and Julia Roberts and TV mini series Godless alongside Michelle Dockery.